Whether it’s Facebook and Twitter in the West or the unparalleled growth of WeChat and the Little Red Book (RED) in the East, social platforms have essentially become a catalyst to grow and develop a brand’s online presence from internally. The lines between social media marketing and search engine marketing have become increasingly blurred with many marketers and business owners looking for ways to optimize the two channels for traffic and conversions. This concept has led to the rise of what is known as Social Search Engine (SSE) and Social Search Optimization (SSO). As these social search engines continue to expand and gain momentum, they can become an entire new gateway for brand relevancy when marketing to China. What is SSE and SSO? 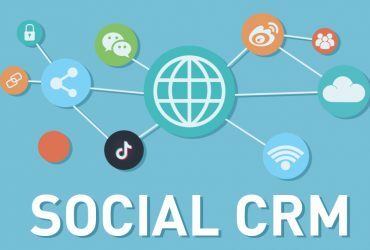 A social search engine can be viewed as an enhanced version of a traditional search engine that includes online community filtering in its algorithm to produce the most relevant results. SSO essential is optimizing content on social platforms such as photos, articles, and page descriptions to improve organic search results. In order for SSO to work, your brand needs to be actively involved with social platforms as much as possible. The end game is still the same as traditional search: maximizing the visibility of relevant content for users that are looking for it. Since its creation in 2011, WeChat has accumulated over 1 billion monthly active users and has been at the center of the shift in consumer behavior. WeChat’s growth still shows no sign of slowing down. Over 52% of Chinese consumers shop through mobile devices on a weekly or daily basis, and there is a significant, untapped opportunity to monetize this vast user base with WeChat’s internal search feature. This search feature is similar to searching on Facebook with an added word-of-mouth component. It’s likely that Baidu will lose a few followers considering that WeChat’s search function combines WeChat content and other popular Chinese web platforms such as JD.com. 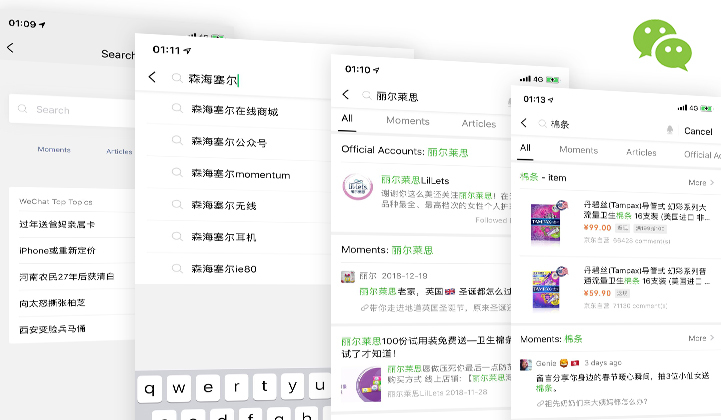 It’s also important to take advantage of WeChat Brand Zone and Mini Program search. These features allow consumers to type in a keyword to find boutique stores, customized content and relevant mini-programs. It’s very important to maintain an official account to receive direct exposure for your brand. The older your account, the more likely that your page will receive favorable results when consumers search for products. Other factors include the number of followers that your account has and how often content is published. WeChat search favors the most relevant content, so it is vital for you to produce quality content that is reflected throughout your posts. Quality content can rise through the ranks of search engine results through clicks, impressions and post interactions. Users can filter these search categories according to a number of factors including recently read posts and posts followed by friends. WeChat search can find keywords in public accounts, mini programs, favorites, chat history, music and so on. Your brand needs to invest in multiple search results to get maximum results. RED is a product search engine at its core. Users generally use the platform to research what products to buy by based on peer reviews. As many as 90% of Chinese consumers read product reviews before buying a product. Word of mouth and friend recommendations are still a primary source for consumers to buy products, but they are now relying more on detailed peer reviews from other consumers online. Peer influence is actually the top motivation when it comes to shopping on RED. Users trust word of mouth marketing and user-generated content because the platform is designed to be authentic and reputable, especially in regards to cosmetics and health care products. 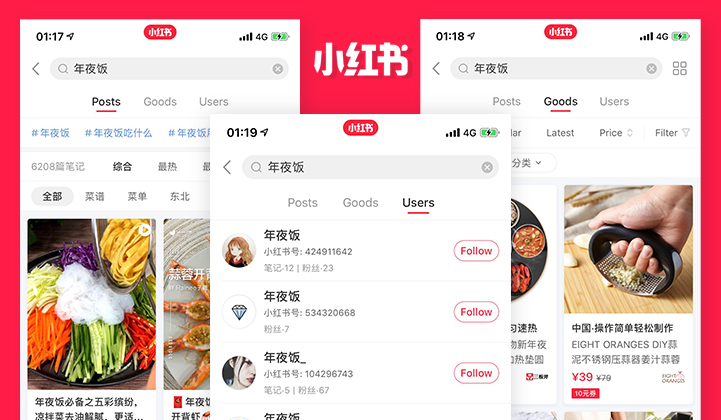 The platform also has a content-to-commerce approach that connects user-generated content directly to online purchasing options, which is an extremely popular way to convert sales in China. RED is one of the best social networks for social search optimization. Posts are similar to web pages and are indexed by Baidu. When properly optimized, KOL promoted posts get very high rankings. Users with mobile devices often search for answers on the platform, which is a great opportunity for optimized KOL content to gain more visibility. Your brand needs to really strategize keyword content and make sure that keywords are visible throughout any article that you post because exposure is calculated by reposts, favorites and comments. The influencer industry on this platform has a lot more weight than those on other social medial channels considering that any user can become one. Longform content with quality pictures is key for gathering a large following. Your SSO campaign should contain a tailored RED community promotion strategy that is influencer-based and content-oriented to fully extend your organic search results. If you’re a foreign brand that is looking to maximize your business in the Chinese market, it is highly recommended to get very familiar with SSO. The changing search dynamics cannot be ignored by brands hoping to engage in this market. 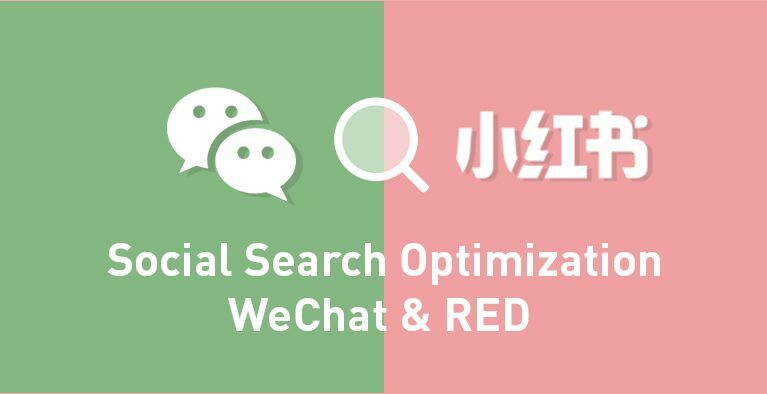 The search functions on WeChat and RED are unique and will only get more innovative in the future. This shift in consumer behavior when it comes to social search has the potential to replace traditional engines. Chinese consumers will always appreciate usefulness over anything else, so you need to consider how helpful your presence is when optimizing for these platforms. Understanding the power of search will only help make your digital marketing strategy in China more secure and profitable. 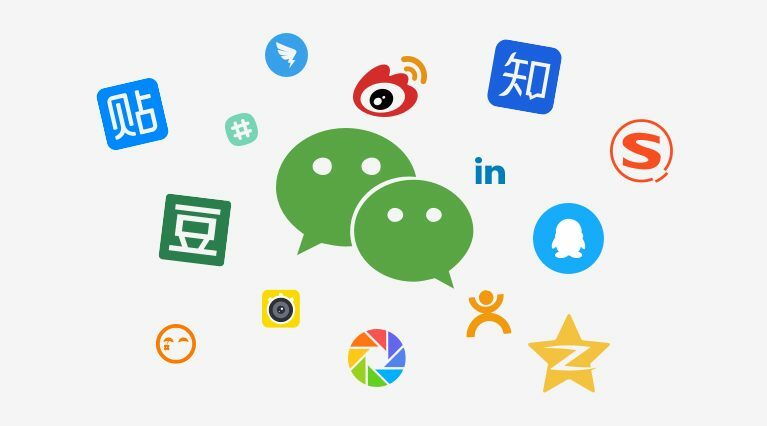 If you need assistance with SSO marketing or want more insight regarding the search features on WeChat and Red, Sekkei Studio is here to help you achieve your digital goals.